In astronomy, a Full Moon is seen around 2 weeks after the New Moon. This month’s Full Moon occurred on the 4th April, with the next one due to appear on Monday 4th May at 3:41am. A Full Moon can be identified by it’s beautiful, ‘full circle’ glow in the sky. At this point, the moon and sun are directly aligned in the sky and the earth-facing surface of the moon is completely illuminated by sunlight. The Full Moon has long been considered a magical time and one of the most powerful phases of the lunar cycle. Consider this a reality check for your the goals and resolutions you set during the New Moon. Have you put in enough hard work to reap the rewards? The Full Moon is the perfect time to make positive changes in your life and is the culmination of what you’ve been working for. The Full Moon will shine it’s light, revealing where you have succeeded and where you may have skipped steps on your journey. Relationships The Full Moon can cause a build up of tension and anxiety and isn’t the best time to get married or embark upon a new relationship. New romances are best created in the days leading up to the Full Moon. Emotions and energies run high during the Full Moon so try not to bring up a contentious issue in your relationship. If you do find yourself in a dispute with your partner then back down before you come to blows. The Full Moon can be incredibly illuminating so use it to explore the depths of your relationship. All buried emotions will surface during this phase, but this can be refreshing and renewing for partners in a long-term relationship. The Full Moon can also shed light on what’s not working– could this be the wake-up call you need to end a bad relationship? Meditation Full Moon meditation can be incredibly powerful. Use it to explore each of the 7 chakras and open them up to receive the energy around you. You could even go outside and meditate in the open-air under the glow of the moon, or late in the evening when all is calm and quiet. Use this illuminating phase to become more attuned to the things going on around you during meditation. Career Looking for a change of career? Signing a contract of employment during the powerful phase of the Full Moon will guarantee that the move goes smoothly without any complications. Maybe you’re tackling a troublesome issue in the workplace? You have a much better chance of reaching a positive outcome if you take action now. Using the moon to guide you really is so simple. 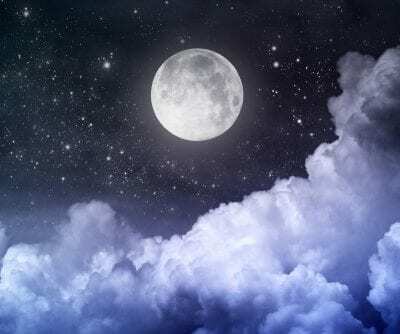 If you are thinking about tuning into its powerful phases then look out for upcoming posts to observe and familiarise yourself with lunar cycles each and every night. Seeking guidance? Our psychics are waiting for your call so get in touch today.